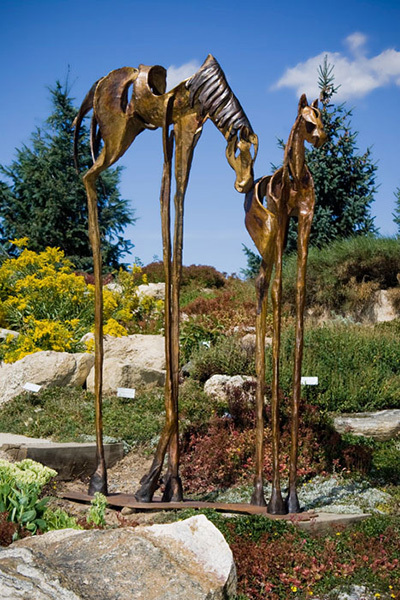 Bronze is made to be lasting and tactile. 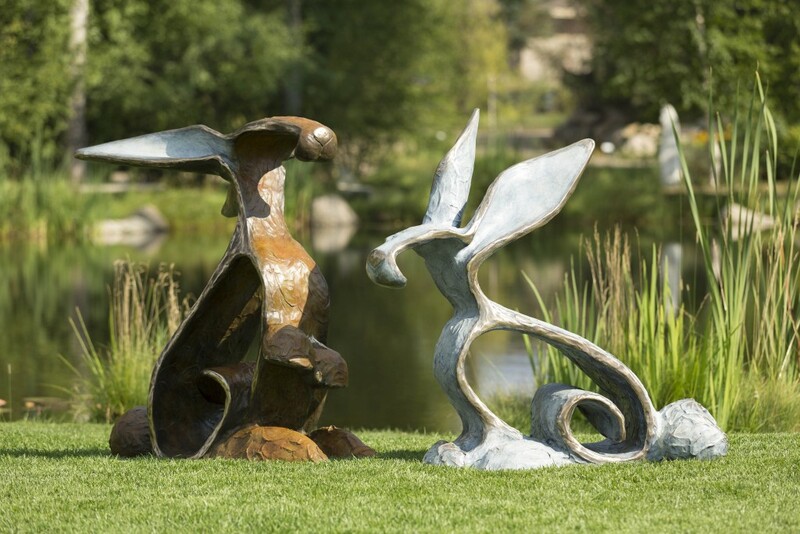 When a sculpture reaches monumental size it allows for the complete experience. Viewers are invited to become a part of the artistic experience in a special and intimate way. It is the greatest honor to have people drawn to touch and become part of a work that I have created. Scroll down to view entire portfolio. These six panels were created for the Deer Park Building in Steamboat Springs. The bright patina gives this mural the breath taking feel of the reflected setting sun on the snow-covered mountains. A powder skier pops out of the deep champagne powder that the Steamboat ski area is famous for. The overall height is eight feet and the width five feet. The panels overlap to give an overall depth of 18 inches. The monument sized “Apron Strings” is a stunning piece. Each Sculpture in the edition is individually worked by hand creating the same overall form but significantly different textures and details. 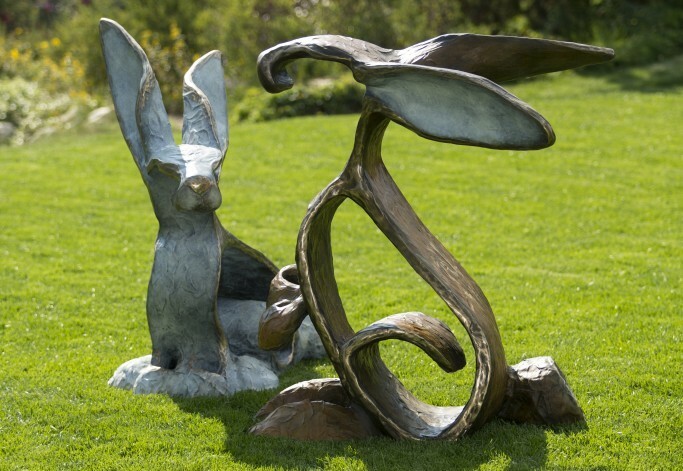 This Sculpture can also be split into two individual pieces which can be purchased separately. A lone elk calls for a mate in this treasured piece which stands at 4’x 2’x 16″ This is one of 15 editions completed in 2013. Cotton and Clementine are 48″ tall. 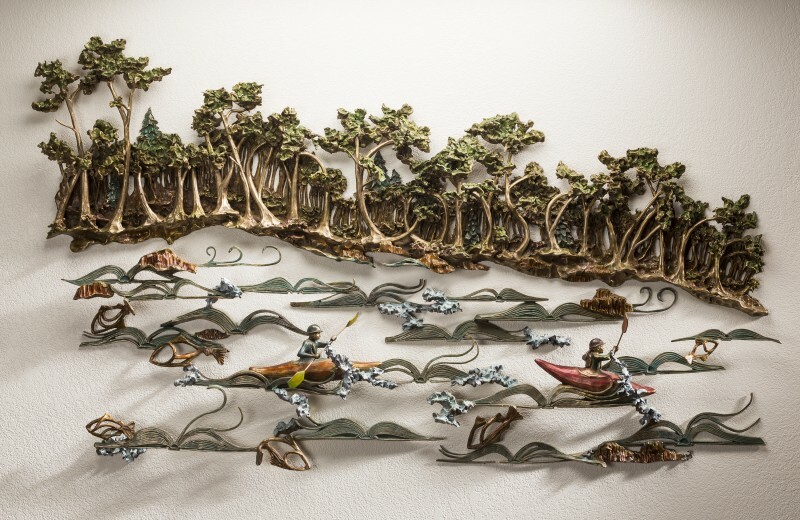 “Flow” is a high relief bronze mural and was commissioned by the Vermont Law School to honor Alan Panabaker’s passion for the enjoyment and preservation of our rivers. 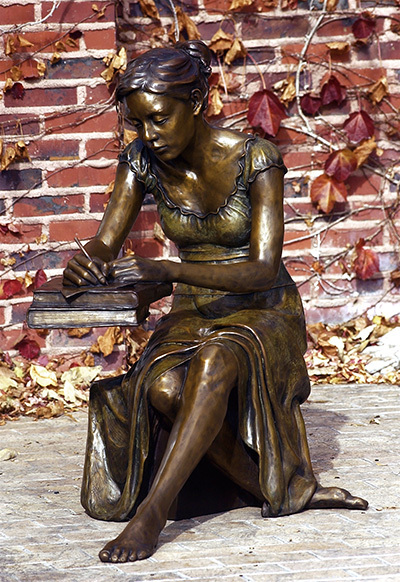 This piece is on permanent display at the Vermont Law School in South Royalton,VT. in the students workroom of the schools Environmental Law Clinic. Created for the Scottsbluff Public School foundation. 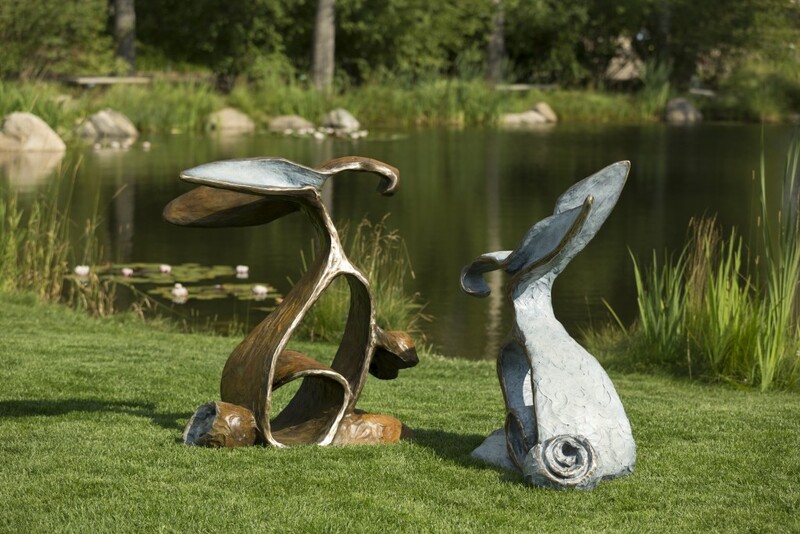 This piece represents the love of Learning and the grace and power that is instilled in those who take on the task. 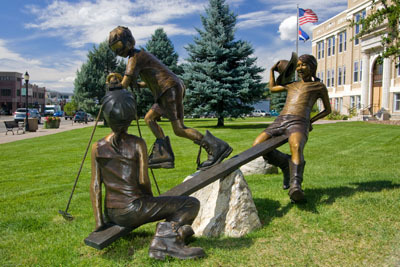 “Chamber Legacy” was created for the Steamboat Chamber of Commerce. 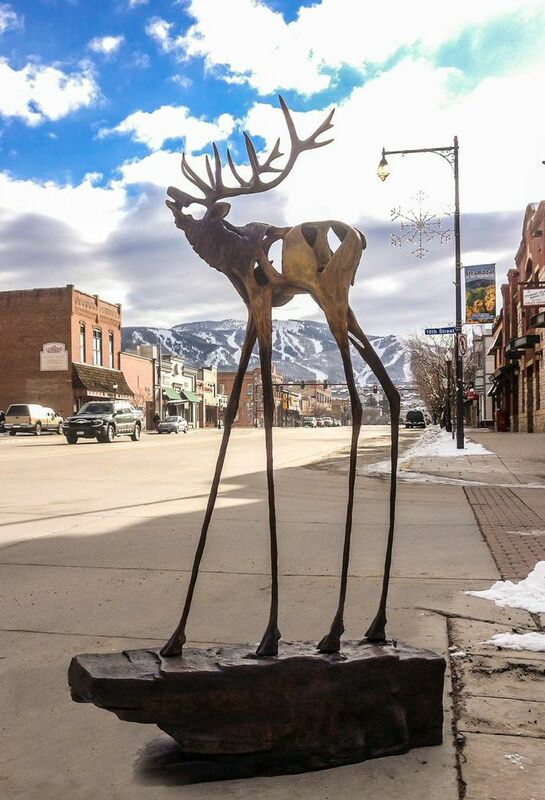 It represents the three major industries of the valley , skiing, mining, and ranching, and the youthful vitality of the people that call Steamboat Springs their home. 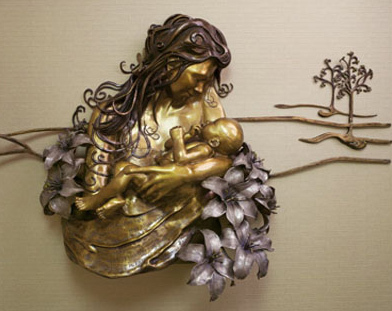 “Lullabies” was created for UC Health/Yampa Valley Medical Center. Inspired by the “Art Nouveau” movement, Sandy used the words of well known lullabies as well as a beautiful Spanish lullaby written by contemporary singer/songwriter, Ivan Rizo, to inspire the visual images that she created. 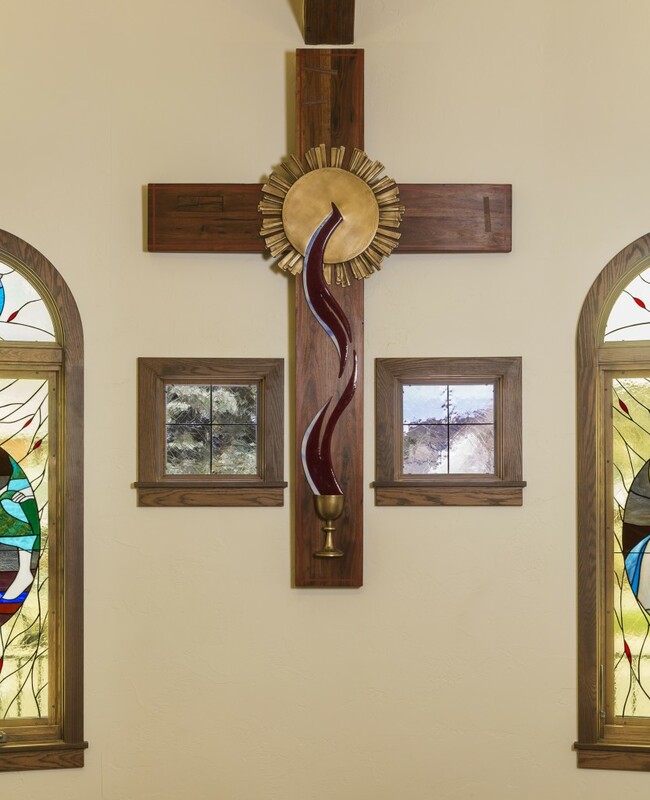 Commissioned by the Catholic Church, This Cross is a Collaboration of Brian Leech (wood artist), Denise Bohart Brown (Glass artist) and Sandy Graves (Bronze artist) from a design by the Church. It is 5 feet tall.